Matching Styrofoam, Reusable and Coffee Cups available! 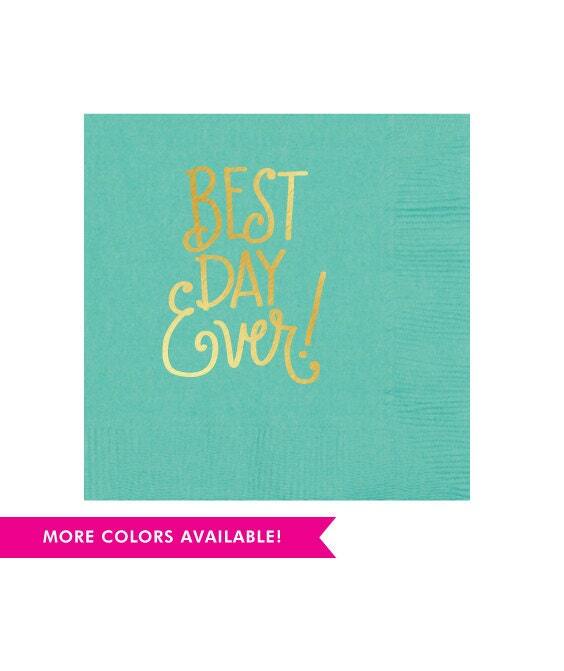 If you would like white lettering, it is available on these napkins, just let us know before ordering! Shipped on time. Granddaughter enjoyed using them when serving Mimosas while she and her bridesmaids dressed! 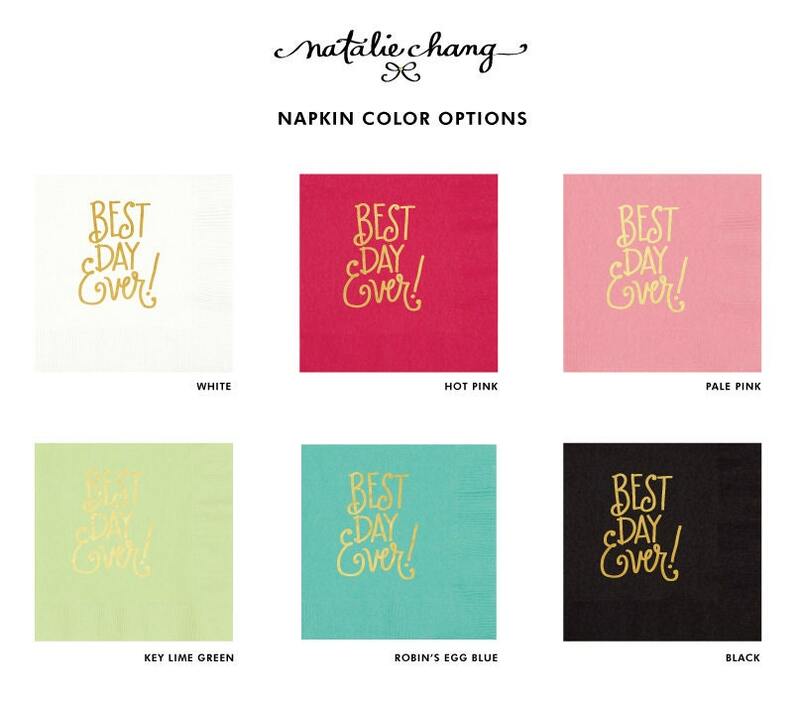 These napkins were a great addition to a bridal breakfast on the big day!